Before you start banging away on your keyboard, however, there are some issues you need to consider. Because they can mean the success or failure of your blog. Here are eight questions you need to answer before you publish your first post. Like other sales and marketing tools, your audience determines almost everything about how you use your blog. You can’t write for everyone. The more specific your content, the more devoted your following will be. So who are you writing for? What do they want and need? What are their hopes, fears and desires? What makes them laugh? What offends them? In my case, my audience is primarily salespeople, sales managers, professionals and business owners. So everything I write (with the exception of my annual humorous Christmas pieces) is written with that audience in mind. CEO’s, marketing managers and others may also read my blog, but if I was specifically targeting them, my content would look a lot different. 2. How frequently will I post? You can post anywhere from daily to monthly. But whatever your publishing schedule, it should be consistent. If you post for several days in a row, then don’t post anything for a few weeks, your readers will think you’ve stopped altogether. So how often can you commit to posting? How frequently do you have something relevant to say? How conveniently can you fit writing into your already-busy schedule? 3. What will I post? Your blog is only as good as its content. What kinds of content do you want to provide? How-to’s? Insights and opinions? News? Reviews? If you’d like some ideas to stimulate your thinking, check out 23 Things to Post on Your Blog. 4. Who will be responsible for posting? If you’re a professional or a sole proprietor, this is a pretty easy question to answer. But if you have employees, this is a question worth pondering. If you’re not a great writer, it would be better for your business if someone else took on this responsibility. Preferably, someone with enthusiasm for the task. 5. Who will coordinate posting? If more than one person will be doing the writing, somebody needs to be in charge of coordination. This person must be responsible for making sure people get their articles written in a timely fashion. The coordinator also must ensure that every potential blog posting meets the necessary standards required to maintain and enhance your company’s image online. 6. Who will be allowed to post? If more than one person in your company will be posting on your blog, you’ll need guidelines to prevent bruised egos among your employees. Drawing up a simple set of parameters will keep morale high. 7. Are there any legal issues to be aware of? Certain industries (medicine, law, financial services, among others) carry with them restrictions regarding what kinds of information and advice can be published. If you have any uncertainties, check with an attorney. 8. How will I spread the word about my blog? “If you build it, they will come” does not apply to blogs. Like any other product, a blog has to be marketed effectively to be successful. After all, what’s the point of writing a blog if nobody’s reading it? There are millions of blogs out there. If you want yours to be one of the successful ones, spend some time answering these eight questions. It will benefit your blog, which will benefit your business. Asking the right questions is the key to making the sale. In my sales training seminars, I go so far as to provide attendees with as many as forty custom-designed questions to ask their prospects. 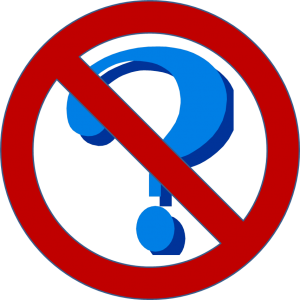 Questions that begin with “why” sound judgmental. They put people on the defensive. If I were to ask you “Why did you do that?” or “Why do you think that?” or “Why is that important to you?”, how would you feel? Like you had to justify yourself? Like you were being belittled? Like I was impugning your judgment, intelligence or character? That’s exactly how “why” questions make a person feel. It isn’t our intention to make them feel that way, it’s simply an unfortunate product of the emotional baggage the word “why” carries with it. Which means, whenever you ask a prospect a “why” question, you’re making them uncomfortable and causing them to like and trust you less. Notice how different these questions seem, even though they’re asking basically the same thing. They don’t sound like a personal attack, the way their previous incarnations do. When you perform a “why-ectomy” on your probing questions, your prospect will be more comfortable and confident. And the more comfortable and confident they get, the closer they are to buying. 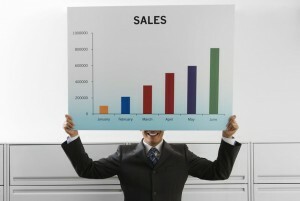 Would you like to achieve breakthrough sales growth this year? There’s one specific thing you can do right now that will dramatically improve your odds of success. To learn more about Michele Price and listen to her interview other business experts on Breakthrough Business Strategies Radio (which I very strongly recommend), check out her web site: www.WhoIsMichelePrice.com.